Got questions? 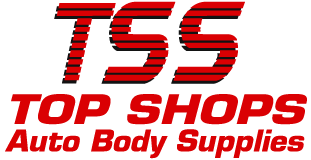 Top Shops Auto Body Supplies has answers. Check out our frequently asked questions. If you’re inquiry isn’t addressed below, please feel free to contact us. Q: How long does it take to make a custom aerosol can? A: It takes 1 to 2 hours to prepare the can. Q: What information do you need to make the aerosol can? A: We require the paint code of your vehicle. The paint code location varies depending on the make of the vehicle. If you’re unsure, contact us, and we will explain where the code is on your particular vehicle. Q: Can I place the order and pick it up when it’s ready? A: We do ask for a deposit or payment for the aerosol can prior to making it. A credit card number may be used over the phone or online as a means to place the order. A payment is not processed on the card until you pick up the order or the order has not been picked up within 2 weeks.